For the workout that starts with 30 Deep Resting Squats “Getting Marathon Ready” isn’t just in the miles. It’s all about the movement and motivation. Stretching and isolating different leg muscles will help with recovery and prevent injury. It is important for runner’s to strengthen their leg muscles! Not only will it improve your speed and distance, but it will ensure your safety out on the course. 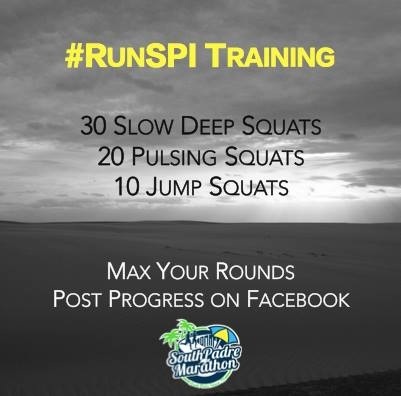 Follow this workout, maximize your rounds and post your progress on Facebook.